The Chronic Diseases: Their Peculiar Nature and Their Homoeopathic Cure, by Samuel Hahnemann, was originally published in four volumes from 1828-1830. A masterly work that compiles the original literature as given by the founder of the healing art. It covers the chronic diseases with their peculiar nature and their homeopathic cure. Detailed work of the basic concepts of miasms are given together with 48 antipsoric remedies with their original provings. This is the best way to understand the miasms as they were first discussed. Hahnemanns prescient prose foreshadows modern thinking concerning the origin of disease. His miasmatic theory lays the groundwork for the homeopathic treatment of chronic disease. 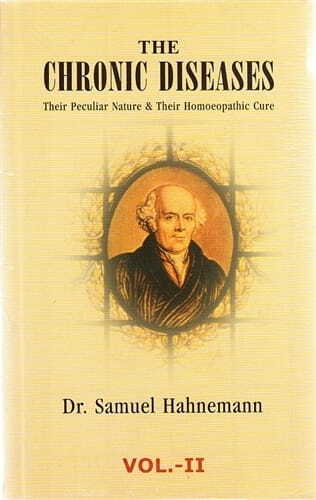 With his review of 48 homeopathic medicines Hahnemann shows how this theory is utilized in practice.